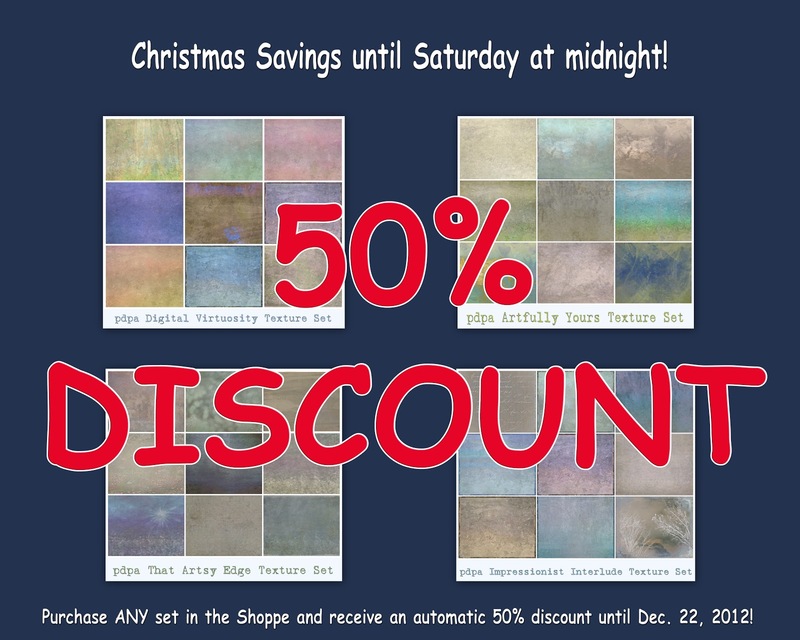 You can save 50% off all textures in my Shoppe until Saturday, Dec. 22nd at midnight. Yes! 50%!!! There are several new sets to choose from. Check them out here. 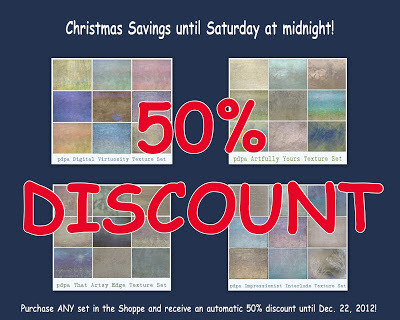 You have only about 2 1/2 days to benefit from the automatic 50% discount on your purchase total. Don't miss out, I've never reduced my texture sets by this much before! 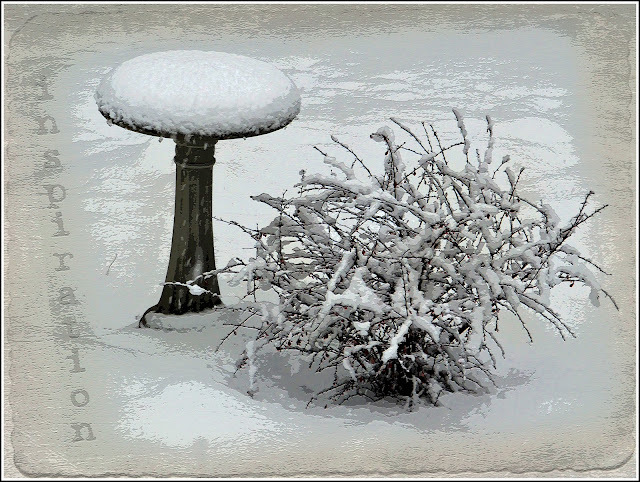 It's beginning to look a lot like Christmas up here in the North East of the continent. Stay safe everyone and have a very merry, connected and inspired Christmas! I wish you a happy Christmas Eve. Ummm, really kicking myself now! haha I guess I was away from the computer for too long! The New Year and PAF are just around the corner! A little inspiration just for you!